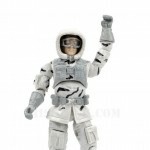 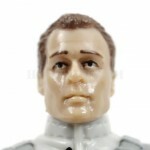 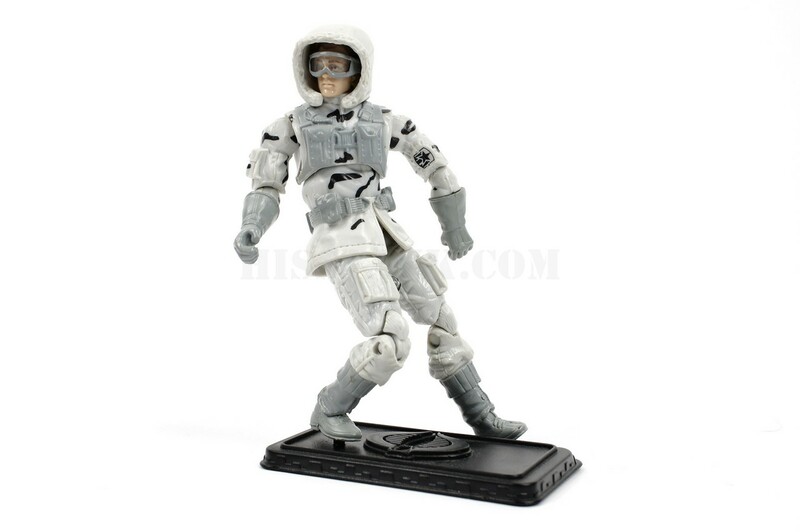 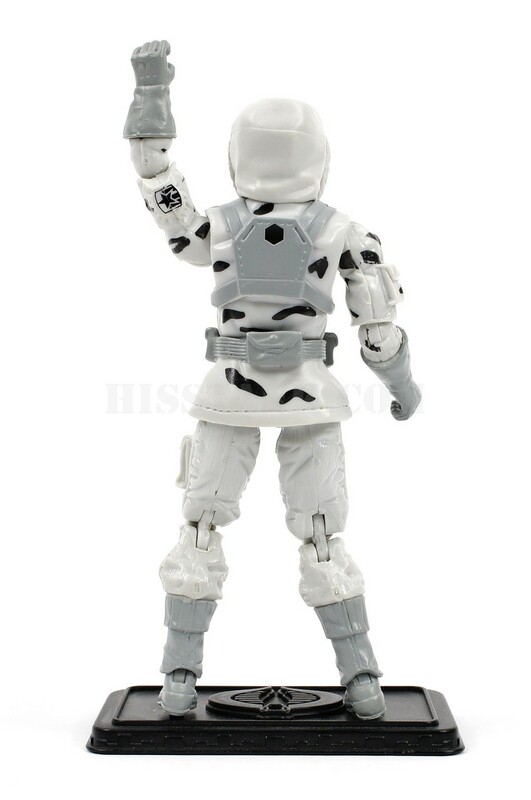 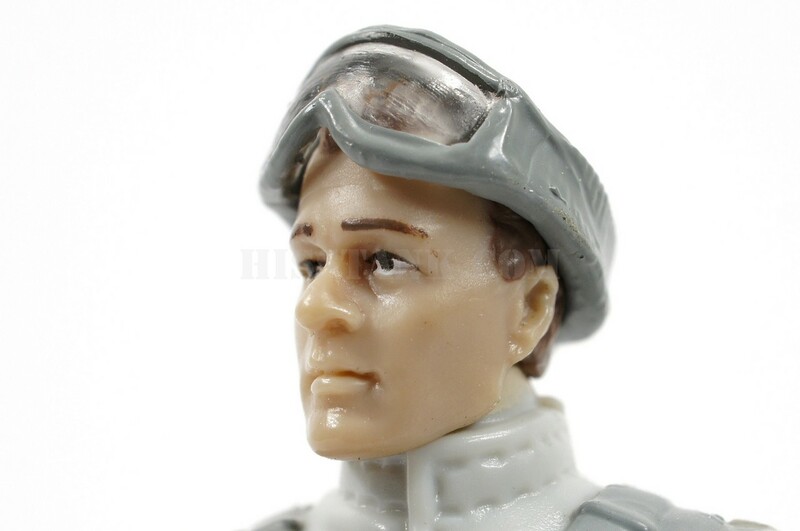 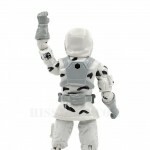 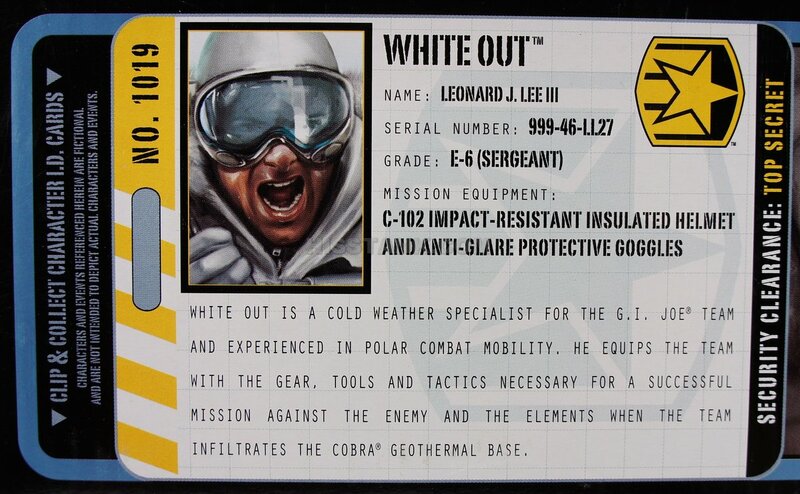 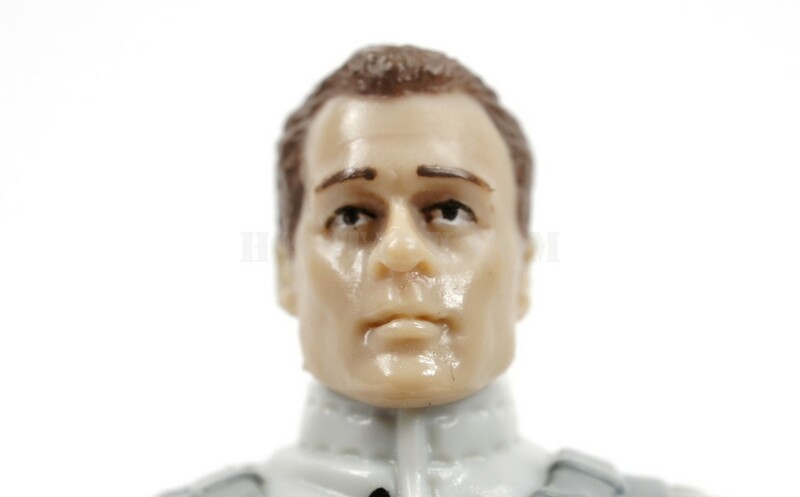 WHITE OUT is a cold weather specialist for the G.I.JOE team and experienced in polar combat mobility. 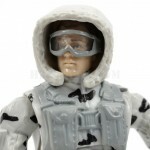 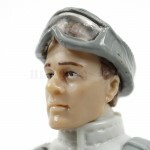 He equips the team with the gear, tools and tactics necessary for a successful mission against the enemy and the elements when the team infiltrates the COBRA geothermal base. 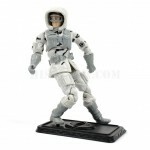 The G.I.JOE team breaks into a COBRA base that's hiding powerful new technology. 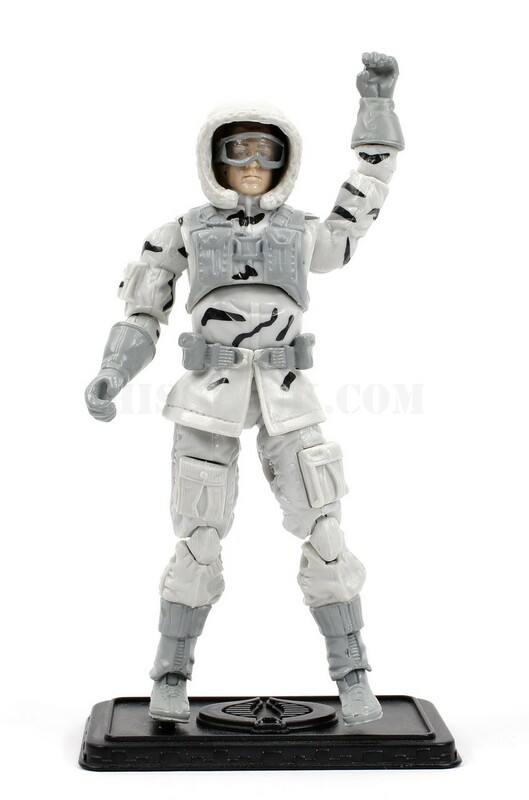 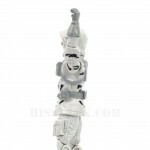 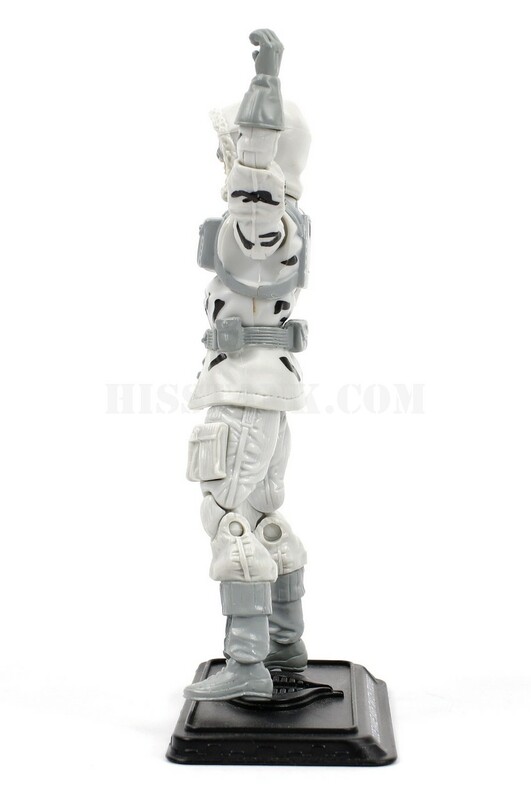 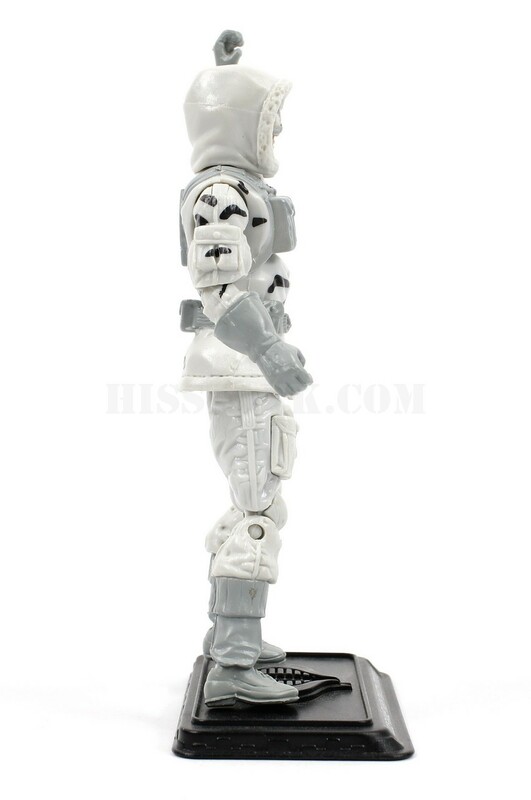 White Out has a new head, but uses the 25th Anniversary Snow Job body with the 25th Annivesary's Arctic Trooper Snake Eyes' arms & legs. 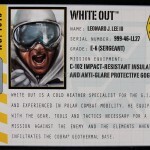 White Out was released as part of the first wave of Pursuit of Cobra Bravo vehicles. 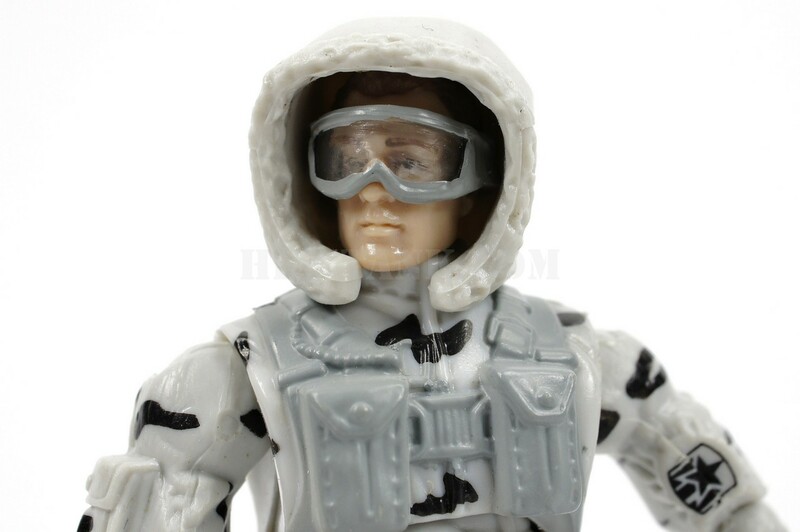 White Out came with a white hood and gray goggles. 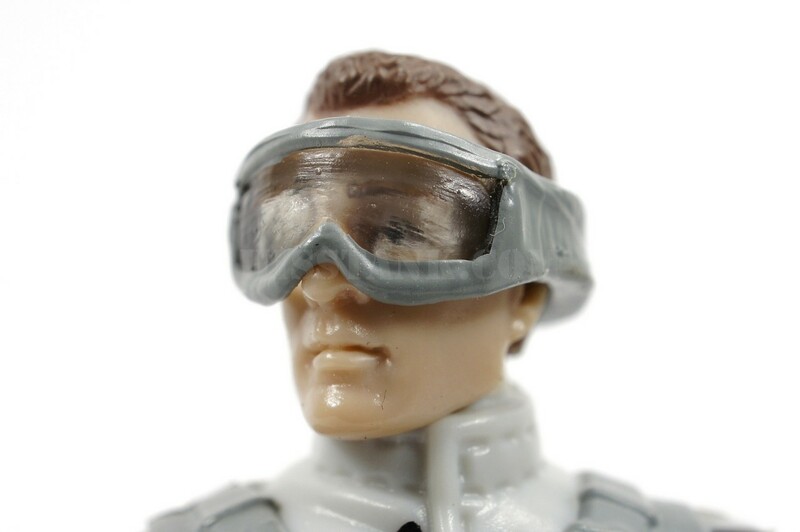 G.I.Joe is the code name for a special operations unit of highly trained men and women. 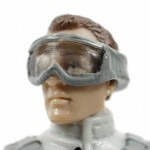 Their purpose is to defend the world against COBRA, a ruthless organization with criminal tentacles in every nation on earth.